Ivy can be such an attractive plant in its young form – elegant slim-leafed shoots ornamenting tree trunks and disguising old stumps or fence posts. Of course it is not to everyone’s taste and some, wisely, see it for what it is and never allow it to thrive past those young shoots. Give it a year or so and its vigour is evident. In a few years, where it is allowed to take root and thrive, it takes over – smothering, dominating. This is not merely on the surface, it connects with the fabric of its support, clinging, and leaving marks even when it is removed. Unchecked, it will spread, build thick, strong branches and push its way through cracks until it has infiltrated all aspects of the original structure it began to colonise. It is only when you come to try to remove it that you realise its power and all-pervasive nature. It can be shocking to remove the glossy leaves, see the effect it has had, and understand the effort required to remove it. And so with the USA’s withdrawal from the Paris Treaty some more of the underlying ugliness of what the climate movement means for the world is exposed to the general public. Did I really hear a radio news segment about it yesterday END with a sound bite from Suzanne Evans (UKIP Deputy Chair)? Yes I did. Unthinkable a year ago. Time will tell. Bring it on. This entry was posted in Climate and tagged Climate Change, Paris Treaty, Stranglehold, Trump, UKIP. Bookmark the permalink. Great post! Here in North Carolina we have Kudzu that can grow two inches in a day and smother mighty oaks. Every bane has its bane. Kudzu’s bane is goats. The bane of CAGW is no funding. Oh indeed I have seen the effects of kudzu in S. Carolina. Impressive, but shocking. Good to see you’re still with us Verity. I have a couple of hawthorn trees at the end of my garden, and the ivy loves to grow up it. One of my least favourite gardening jobs is cutting it back, as the hawthorn never sees me as an ally and instead rips me to shreds on its thorns which can make a real mess. Your analogy of ivy to the climate movement would stretch to governments being hawthorn trees, giving support and protection to the ivy, even though in the long term the ivy will smother it. And like Ivy the UN and the UN-IPCC requires a substantial support structure upon which to grow and shelter. 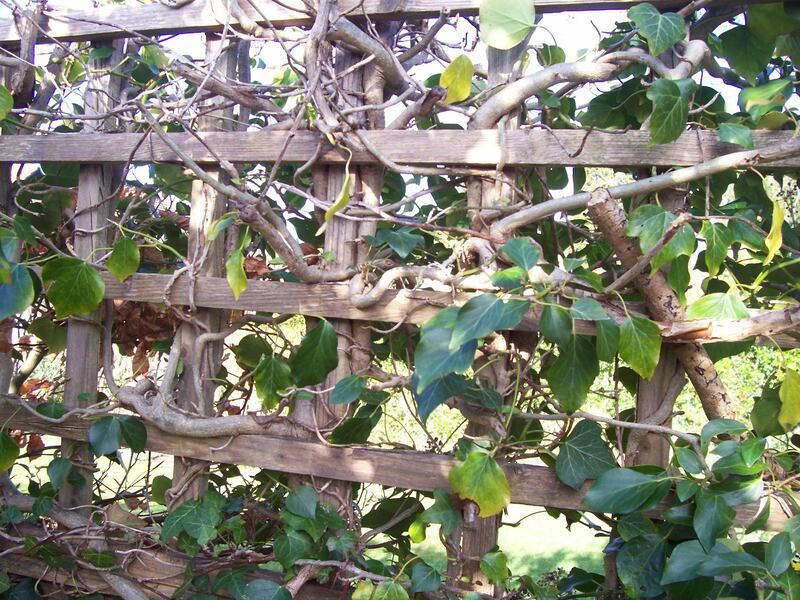 Remove the support and the ivy eventually perishes.